President Donald Trump announced his intent to appoint a leading Indian-American engineering professor from Indiana, as a member of the National Science Board. 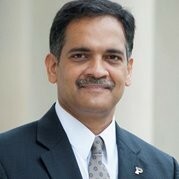 Suresh Garimella, the executive vice president for research and partnerships at Purdue University, was in the list of 7 board members announced by the White House Nov. 5. Garimella is a graduate from the 1985 batch of the Indian Institute of Technology, Madras. He is currently in Indiana as Purdue University’s inaugural executive vice president for research and partnerships and the Goodson Distinguished Professor of Mechanical Engineering. He also continues to direct the National Science Foundation Cooling Technologies Research Center, which he founded in 1999, according to his biography available on the Purdue website. Garimella is the co-author of more than 525 widely cited archival publications and 13 patents, Garimella is an expert in micro- and nano-scale transport phenomena, thermal management and energy efficiency in electronics systems, and renewable and sustainable energy systems technology and policy. He has supervised over 90 graduate students, 25 of whom are now faculty members in prestigious universities. Prior to his current position, Garimella served as Purdue’s chief global affairs officer (2013-2014) and associate vice president for engagement (2011-2013) at Purdue. His responsibilities have included directing Purdue’s diverse research enterprise, which expends more than $660 million annually to support world-changing research, the University said. Garimella oversees Discovery Park, which includes diverse facilities and institutes that enable disciplines to converge in the effort to find solutions to global challenges related to health and life sciences, sustainability, food, energy, and defense and security. He is also responsible for Purdue’s international programs and its global and corporate partnerships endeavors, focused on strengthening relationships to advance innovation, research, education and commercialization, the University said. Garimella is credited with achieving “consecutive record years” in research funding and establishing “significant new partnerships” around the world. The Indian-American professor is said to have conceived and implemented an ambitious Pillars of Excellence in the Life Sciences Initiative, establishing two new institutes that bring together faculty from dozens of disciplines to study integrative neuroscience and inflammation, immunology and infectious disease, to complement signature efforts in the plant sciences and drug discovery. Garimella was a Jefferson Science Fellow at the State Department from 2010 to 2011, analyzing cross-cutting issues at the intersection of energy security and climate change. He was a State Department delegate to the International Energy Agency (IEA). From 2011 to 2016, Garimella was a senior fellow of the State Department’s Energy and Climate Partnership of the Americas (ECPA), a regional partnership announced by President Obama to promote clean energy, advance energy security, fight energy poverty, reduce greenhouse gas emissions, support strategies for sustainable landscapes and build capacity for climate change adaptation. He has a Ph.D. from the University of California at Berkeley, and an M.S. from The Ohio State University. Among his many awards, Garimella has received the 2016 ITHERM Achievement Award, 2014 ASME Charles Russ Richards Memorial Award, 2011 NSF Alexander Schwarzkopf Prize for Technological Innovation, 2010 ASME Heat Transfer Memorial Award, and 2010 Distinguished Alumnus Award from IIT Madras.